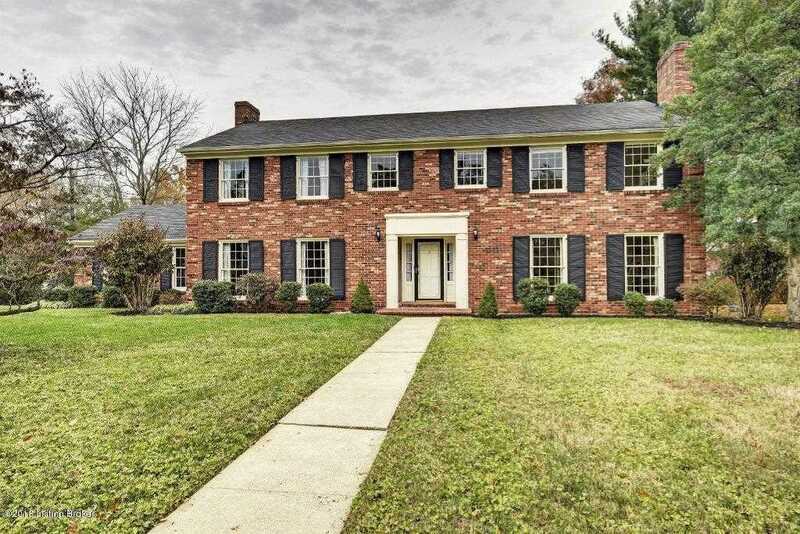 What an opportunity to place your own touches on this spacious, light-filled, traditional 4 bedroom, 2.5 bath home with a 2 car attached garage in Glenview Hills! Located on a quiet cul de sac, the home has a large flat lot with a great street presence and swing through drive to the front entry. Features include 2 fireplaces, hardwood floors under most of the carpeting, floor to ceiling windows on the lower lever, and crown moulding in many of the rooms. Upstairs, each of the bedrooms have ample closet space and the master bedroom has a walk-in closet, dressing room and large bath. This home has boundless possibilities for you to make it your next home. Directions:US Hwy 42 to Lime Kiln to Glen Hill Rd. to Glen Hill Ct.
SchoolsClick map icons below to view information for schools near 2907 Glen Hill Ct Louisville, KY 40222.